The death of a Palestinian baby during the protests in Gaza became a rallying cry for critics of Israel. Within hours, the family’s story was being questioned. • Declan Walsh, the Cairo bureau chief for The New York Times, who has been reporting from Gaza. • Layla Ghandour, an 8-month-old Palestinian girl, inhaled tear gas during the protests at the Gaza border on Monday and died hours later. The tragedy became a focal point of outrage for critics of Israel’s use of force, while the Israeli military and its supporters questioned the narrative around her death as a political ploy by Hamas. 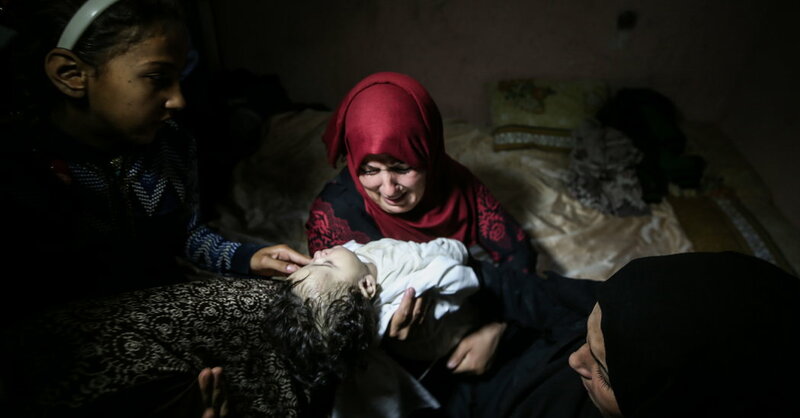 • The child was one of more than 60 Gazans killed during this week’s demonstrations, which were held to draw attention to the 11-year Israeli blockade of the territory. The violence gave way to mourning on Tuesday, the 70th anniversary of what Palestinians refer to as the Nakba, or Catastrophe, when hundreds of thousands fled their homes upon the creation of the state of Israel. Many Israelis see the relocation of the United States Embassy to Jerusalem from Tel Aviv as a historic milestone for the Jewish state. But for Palestinians, who hope to see the eastern part of Jerusalem as the capital of a Palestinian state, it’s a betrayal. • David M. Halbfinger, the Jerusalem bureau chief for The New York Times. • Declan Walsh, The Times’s Cairo bureau chief, who has been reporting from Gaza this week. • At least 58 Palestinians were killed and 2,700 injured on Monday as demonstrators clashed with Israeli forces along the Gaza border fence. • Meanwhile, an hour’s drive away, Prime Minister Benjamin Netanyahu of Israel celebrated the new American embassy in Jerusalem at a ceremony attended by Ivanka Trump and Jared Kushner. 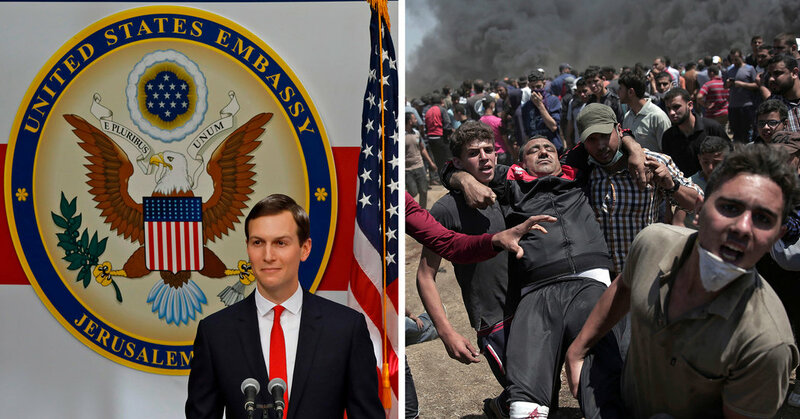 • Here are images of the two contrasting scenes, which illustrate the widening chasm between Israelis and Palestinians after 70 years of conflict. While listening I forgot about the opener and thought the first half was too chipper and upbeat. I was ready to get upset at the break thinking that they were doing their usual commercial and closing. I had a sigh of relief that it continued. The second half made for a far more balanced picture.